In most metropolitan cities including NYC and Seoul, micro-apartments are common phenomena due to the limited spatial resources. 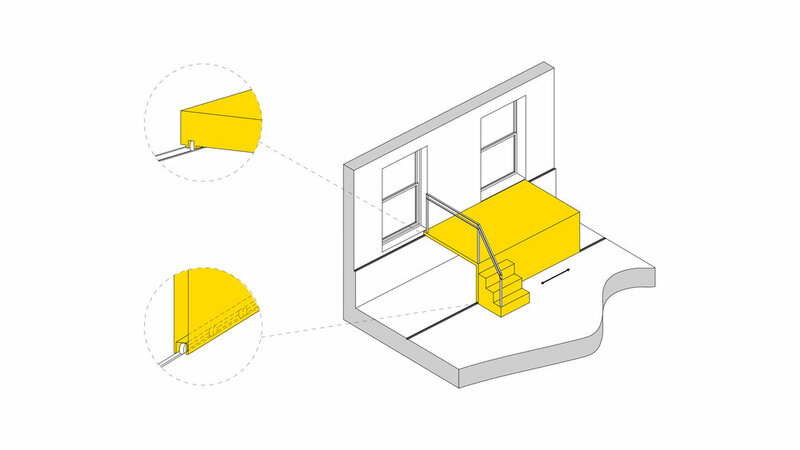 This project aimed to design a small room (25 square meters), which creatively maximizes the application of space, while providing comfort and utility for the occupant. The objective was to create both living and working environment within the same open plan studio, where the sleeping area and the meeting/dinning area can be utilized independently and practically. 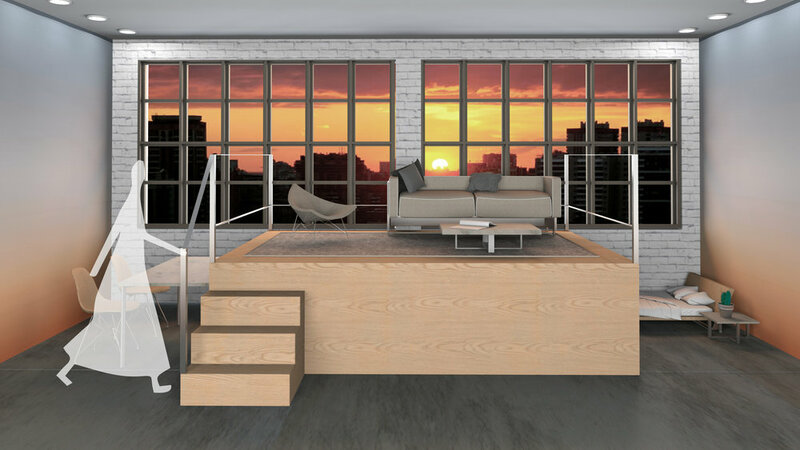 JARI has created SLIDING SWITCH, involving a 865mm sliding mezzanine upon a railing system. Atop the sliding mezzanine, the furnishings of a living room were placed. Underneath the sliding mezzanine, the sleeping area with the bed and the meeting/dining area with the dinning table were placed (as illustrated). 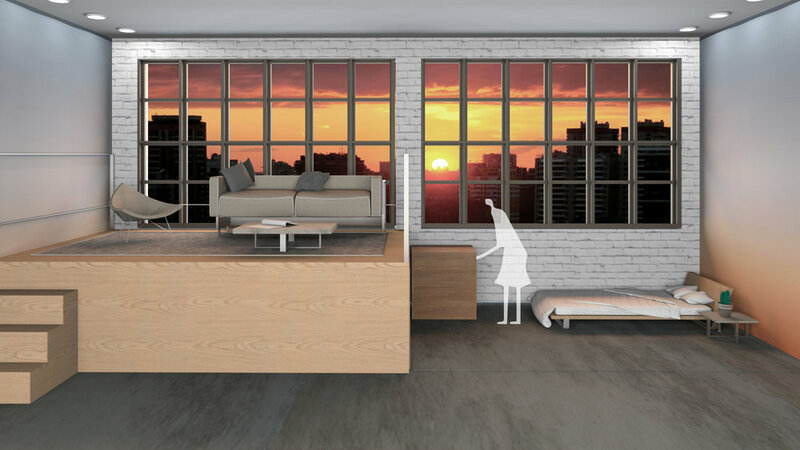 Effortlessly, the occupant of the apartment can move the sliding mezzanine to hide or reveal either the sleeping area or the meeting/dinning area. At the same time, one may use the space above the mezzanine at all times. SLIDING SWITCH can be applied in various environments to expand the actual used space and to increase versatility. JARI believes in being able to alter the space to change active programs increases the perception of space, allowing the occupants to perceive their home much larger than it actually is.